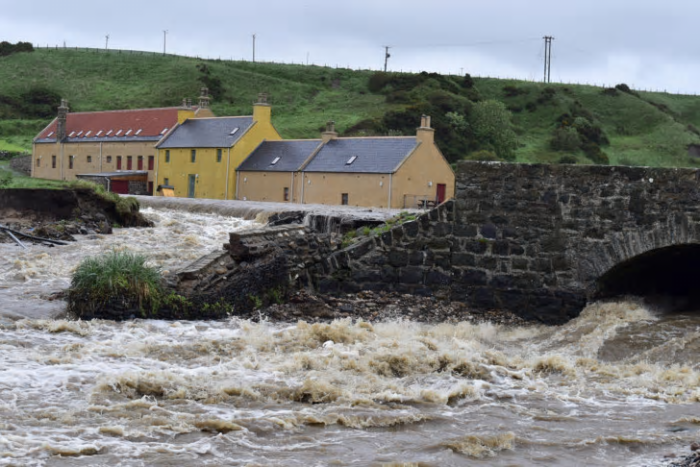 It had been a fairly quiet few months for the operational side of the Scottish Flood Forecasting Service, before heavy rain struck much of the country at the start of June, causing some significant flooding in the north east, and minor flooding in many other locations. Forecasts consistently indicated low pressure and ‘wrap around’ feature bringing heavy rain to the north and north east in particular, though there was some variation from forecast to forecast as to the exact location and rainfall amount forecast, as shown in Figure 1. The Grid-to-Grid model also highlighted this uncertainty, though it was clear that all scenarios would lead to much higher than usual flows (particularly for the time of year) in some areas. See Figure 2. 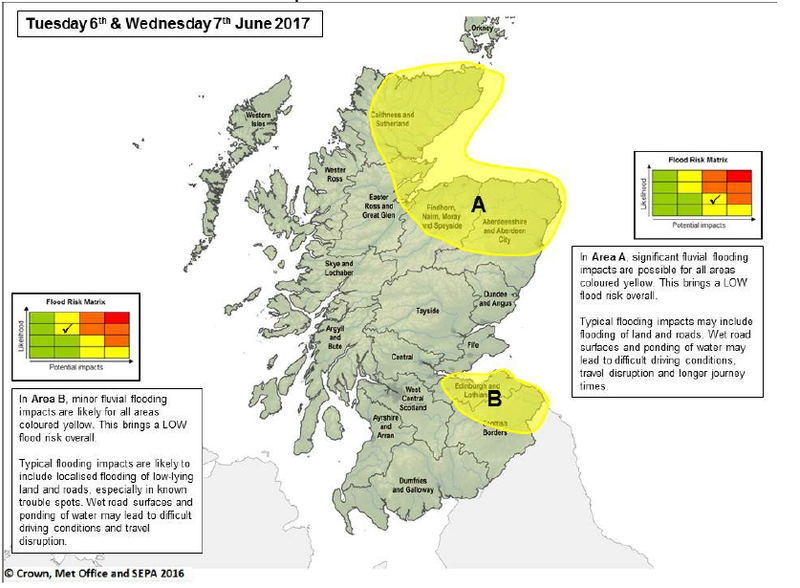 To reflect the uncertainty the Flood Guidance Statement indicated a low likelihood of significant flooding, with an Area of Concern map. See Figure 3. In the event, over 100mm of rainfall in 24 hours fell in some areas, and some rivers exceeded flooding levels, particularly in the north east. A number of Flood Alerts and Flood Warnings were issued. Some properties were evacuated and the Inverness to Aberdeen railway line was flooded. Surface water flooding issues were also widespread. Perhaps the most interesting aspect of this event is that even in summer, and following a prolonged dry spell, river flooding is always a possibility during a prolonged rainfall event. Whilst surface water flooding did occur, the main focus was on the rivers. This entry was posted in Flood, Forecasting, G2G, Uncategorized. Bookmark the permalink.